Howard Carlson is superintendent of the Wickenburg Unified School District located in Wickenburg, Arizona. Carlson has previously served at the assistant superintendent and superintendent levels in the states of Washington, Minnesota and Arizona. He has worked as President & CEO of a company which started schools in the states of Minnesota and Colorado and has consulted with school districts and private sector companies on a variety of educational issues. In addition to his current full-time position, he serves as a part-time faculty member at Walden University, where he works with students who are pursuing their doctorate in administrator leadership for teaching & learning. In 1990, he was recognized as the Washington State Young Agriculture Teacher of the Year and later as the Western Region of the United States Young Agriculture Teacher of the Year. In 1994, he was named the Washington Association of Agriculture Teachers’ Association, District #4, Administrator of the Year and in 2002 was selected as a candidate for the Outstanding Young Minnesotan Award. In 2004, he was chosen, along with a select group of Minnesota superintendents, to meet with the Commissioner of the U.S. Department of Education to discuss the strengths and weaknesses of the No Child Left Behind (NCLB) law. 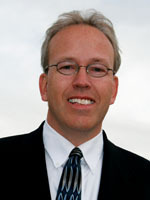 Carlson received his BS and doctorate from Washington State University and his master’s degree from Heritage University. His doctoral study major was educational leadership and his minor was curriculum & instruction.